Graph Commons Workshop will be held at the 5th Marrakech Biennale, Morocco on Friday 28th February 9:00 – 13:30, in Marrakech (exact location to be confirmed). The workshop will explore complex networks through mapping and visual analysis in order to expand the individual’s understanding of the network as a creative medium. 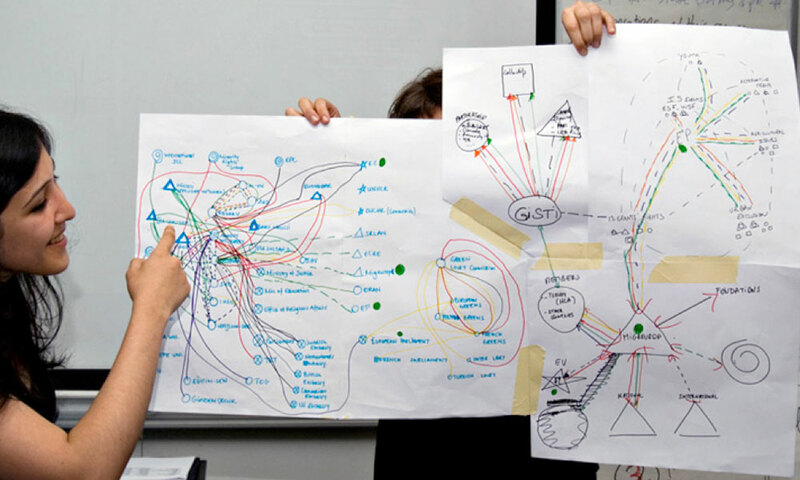 Starting from hand drawn simple relationship diagrams, participants gradually build complex network models. Emphasis on network mapping, modeling, relational thinking, protocol authoring, centrality analysis, clustering analysis, and information design. Participants learn the most through observing and extracting networks from their area of interests, collaborative mapping, sketching, and discussing diagrams. Graph Commons is used at the workshops for visualization, group collaboration, and sharing. So please bring your laptop to the workshop.